Charlie Potje has been the owner of Charlie Salon since 2008. 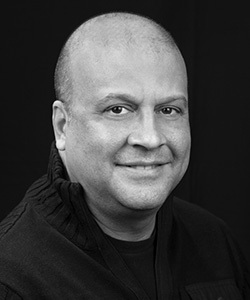 A Philadelphia native, Charlie has been in the business for a decade and is known for making his clients feel good both inside and out. He is an expert on men and women’s hair cutting and coloring. Charlie is also highly involved in the local community and has offered his services to many charitable events including donating to multiple non-profit organizations. Come in and meet the face behind the name! 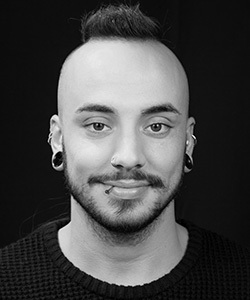 James has been working in the salon industry for several years. James joined the staff of Charlie salon three years ago. James loves to get to work with the creative, talented stylist who takes pride in what they do. Best of all, Charlie Salon is a friendly positive environment with great clients. Nicole, a graduate of Jean Madeline, has been a stylist for 12 years. She has a strong passion for the beauty industry, and believes in constant education to keep up with the latest trends, as well as new techniques. 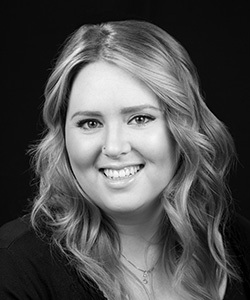 She is inspired by many things like art and fashion, and uses her creativity and skills when working with her clients to ensure that every client leaves her chair looking and feeling their very best. Certified in Keratin Complex Treatment, Brazilian Blo-Out Treatment & MicroLink Extensions. Sarah has been in the industry for 5 years. She specializes in bold color designs and multi dimensional highlighting to give every color client the customization they deserve. Additionally, she represents Kenra Professional as a color educator and adds that level of expertise into her work on a daily basis. Sarah also loves working with the straight blade razor to personalize each cut and take it to the next level. Another passion, besides being behind the chair and continuing education, is acrylic painting; so it’s no wonder that each client feels like a work of art! Growing up as a competitive figure skater for 17 years Jamie Lynn has always had a passion for hair and make up. 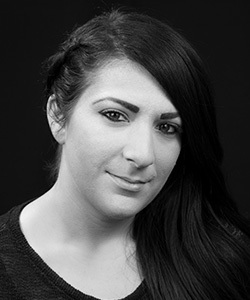 With over 10 years experience in the industry as a hair stylist and make up artist, Jamie Lynn loves keeping up to date with the latest trends and techniques, and providing the highest quality service. She places high value on listening to her clients and understanding their needs. Her goal is that every person that sits in her chair feels and looks their best. Jamie Lynn’s certifications range from master colorist, hair extension and keratin specialist. Additionally, she is experienced with red carpet, production work,and special event styling. Vann Graduated from Graham Webb Hair Academy in 2006, he started his styling career at Salon Cielo and Bubbles in Washington D.C. for Ratner Company. 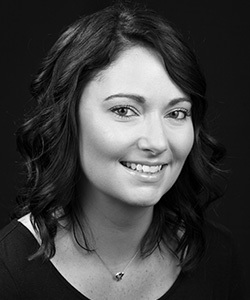 Vann relocated to Philadelphia as Salon Manager/Lead Stylist for Bubbles in Bryn Mawr and Rittenhouse Square. As a Master Stylist and Colorist Vann brings the latest techniques and trends to his work daily to make sure each client leaves his chair looking and feeling their best. Drew has had a passion for hair since age 13, when he first began experimenting with vivid pigments in art and wanted to apply the colours to hair to see his projects come to life. 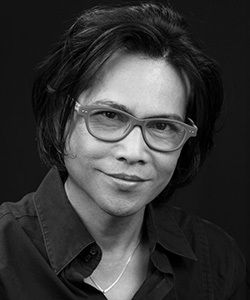 He professionally trained with Aveda Salon and has currently been licensed for over 5 years. His certifications include straightening, extension courses as well as maintaining a heavy focus in fashion colours and fashion forward style.